MANILA -- Some 64 former members of the New People's Army (NPA) in Compostella Valley province were formally welcomed to mainstream society by Task Force Balik Loob during a short ceremony on September 27. “Bilang mga makabayang mamamayang Pilipino, ating pakatandaan na ang pagkakaisa at kapayapaan ng sambayanan ang daan tungo sa maunlad na kinabukasan ng bayan (As patriotic Filipinos, we must remember that a united and peaceful country is the path towards a progressive future)," Task Force Balik Loob head Reynaldo Mapagu, who is also Defense Undersecretary for Civil, Veterans and Retirees Affairs, told the rebel returnees during the ceremony, held at the social hall of the Capitol Building in Nabunturan town in Compostela Valley. Mapagu said these former NPAs were given immediate and livelihood assistance, as well as cash in exchange for the firearms they surrendered. Compostela Valley Governor Jayvee Tyron L. Uy and Vice Governor Manuel E. Zamora handed to the former rebels their Enhanced Comprehensive Local Integration Program (E-CLIP) benefits. Each rebel returnee received a check worth PHP65,000 representing immediate and livelihood assistance amounting to PHP15,000 and PHP50,000, respectively. A total of 25 of them also received remuneration for surrendering their firearms to the government, ranging from PHP10,000 to PHP75,000, depending on the type and condition of the weapon surrendered. 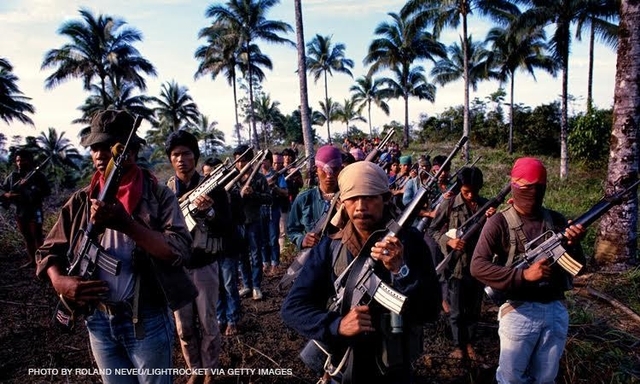 It aims to provide social equity to former members of the NPA, Communist Party of the Philippines, National Democratic Front of the Philippines, and the Militia ng Bayan to reintegrate them into mainstream society. Unlike previous government reintegration programs, the E-CLIP provides a wide array of benefits based on the particular needs of the former rebels and their families, such as financial assistance, shelter, education, skills training, health care, and legal assistance, through a convergence of various national and local government agencies.